Rebekka Klausen joined the faculty at JHU as an assistant professor in July 2013. 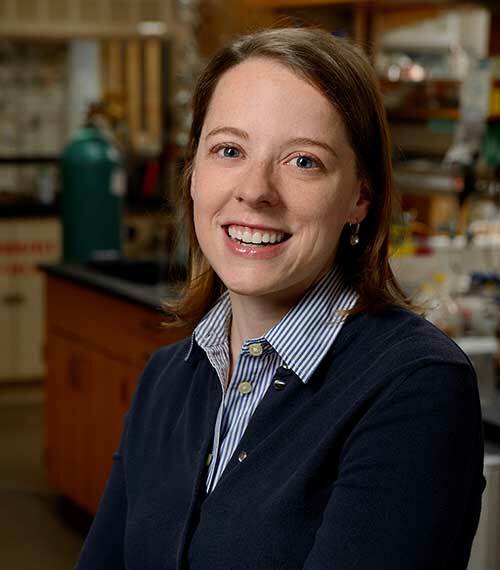 Prior to JHU, Klausen earned her PhD with Prof. Eric Jacobsen (Harvard University, 2005–2011) and completed postdoctoral work with Prof. Colin Nuckolls (Columbia University, 2011–2013). The unifying theme of research in the Klausen Research Group is the application of rational organic synthesis to advance the frontiers of materials science. Through the atomic-level control provided by bottom-up synthesis, we precisely determine and control materials properties. In particular, we focus on carbon and silicon-based materials. Crystalline silicon, the preeminent solid state semiconductor, powers defining modern technologies like integrated circuits and solar cells. Inspired by the structure and properties of Group IV and III-V electronic materials, like silicon, graphene, and h-BN, we explore the synthetic chemistry and materials properties of carbon and silicon molecules, polymers, and other nanomaterials.